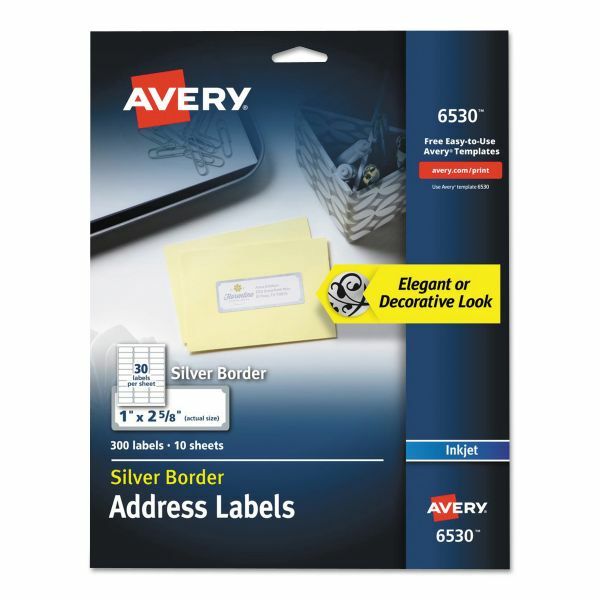 Designed with a premium look for addressing and organizing. Bend the unique Easy Peel label sheet to expose the Pop-up Edge for fast peeling; the sheet stays intact and goes back to flat. 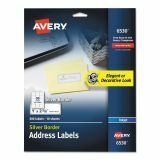 Avery Easy Peel Address Labels w/ Border, Silver, 1 x 2 5/8, 30/Sheet, 10 Sheets/Pack - Designed with a premium look for addressing and organizing. Bend the unique Easy Peel label sheet to expose the Pop-up Edge for fast peeling. The sheet stays intact and goes back to flat. 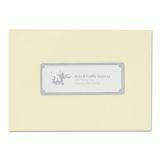 Easy to customize with free templates and designs using Avery Design & Print.